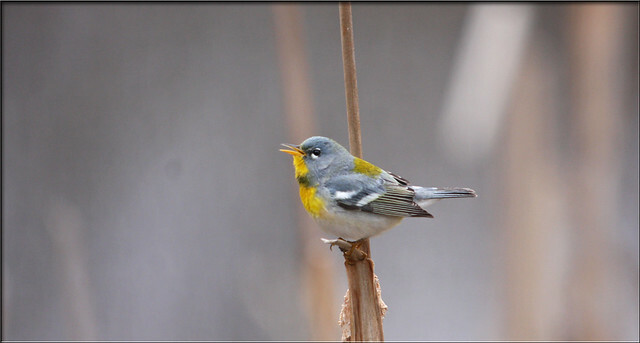 As I have often stated, there isn’t much better for Warblers in NJ than Garret Mountain in the Spring. Although not yet the super big number days that I have seen often in the past, Garret still always delivers and provides context to my official start to Spring. The weather was a bit odd this year after a warm winter and a not so wet April, and I expected early numbers and species in late April. However, the big numbers on warbler species didn’t open up until the first week of May and per usual, you never can tell when the floodgates open. Wind direction/speed, pressure systems and national weather all attribute to broad North American bird migration and its always helpful to keep one eye on your calendar of past experience and one eye on Bird Migration Radar information like that at http://www.woodcreeper.com/. You can usually get a good idea of what is coming and what the good days for the upcoming week “should” be. So, how did we get here? 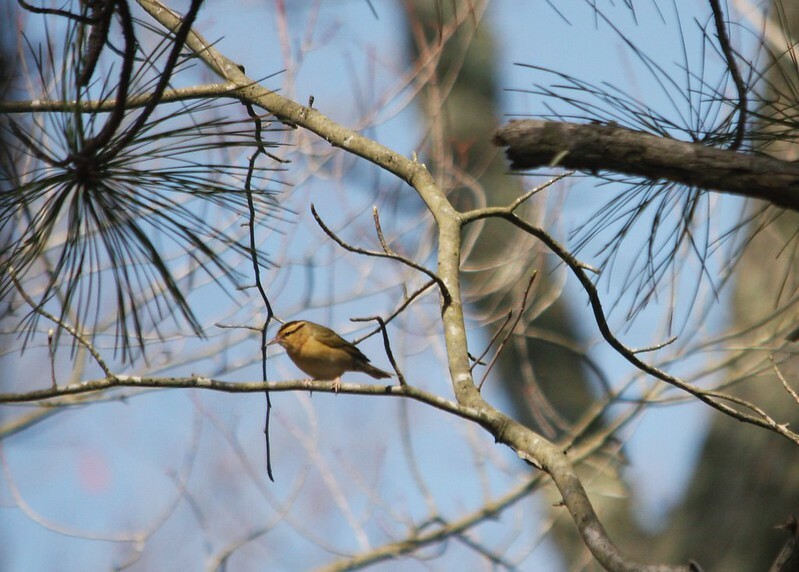 Where did our Spring/Warbler season start this year? 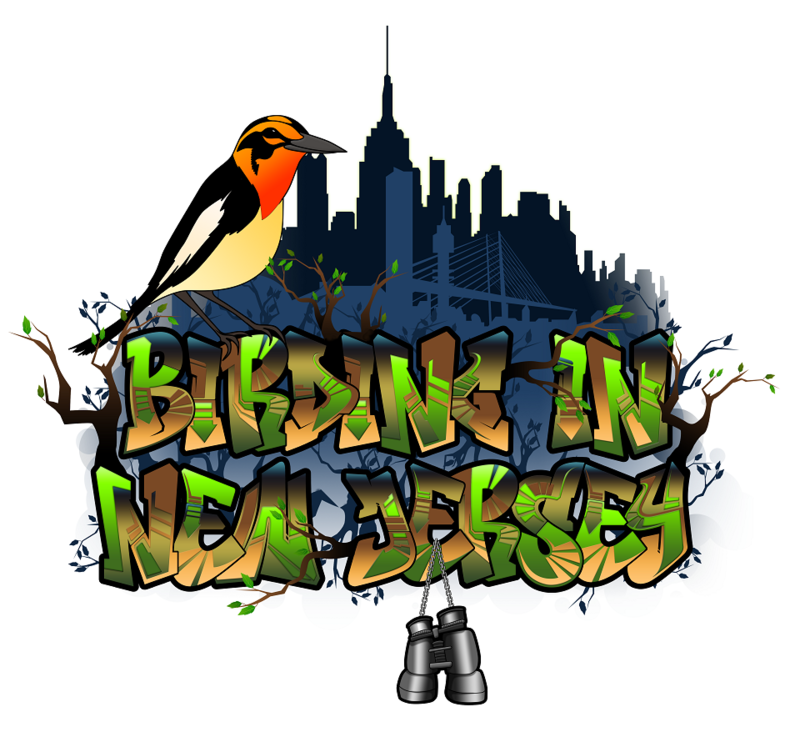 April, however, was not without incident for Jeanette and I as we looked to beat the “migration” streak and shot down to Belleplain and Cape May April 21st for some early breeding birds and a shot at migrants hitting the coastal spots as opposed to inland. 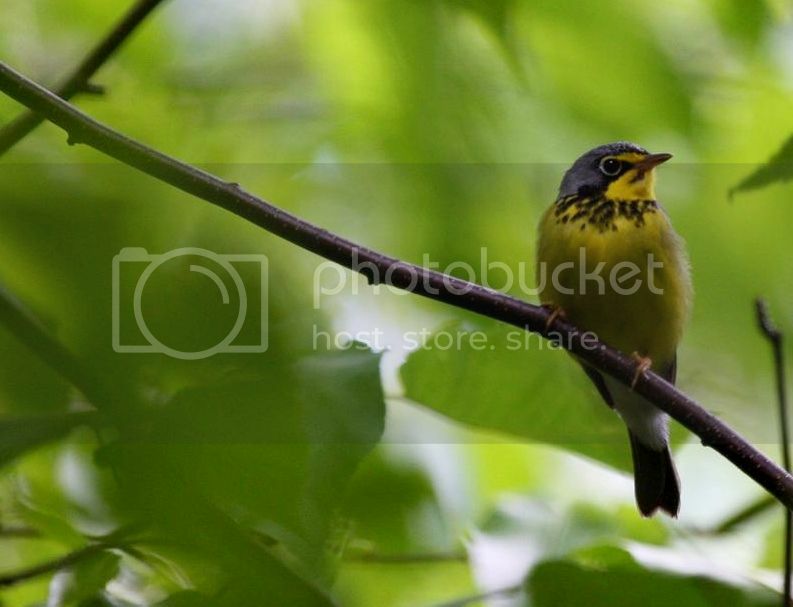 It serves to reason (mine anyways :)) that the distinctive southern species of breeding warblers would “get in” before their northern brethren. 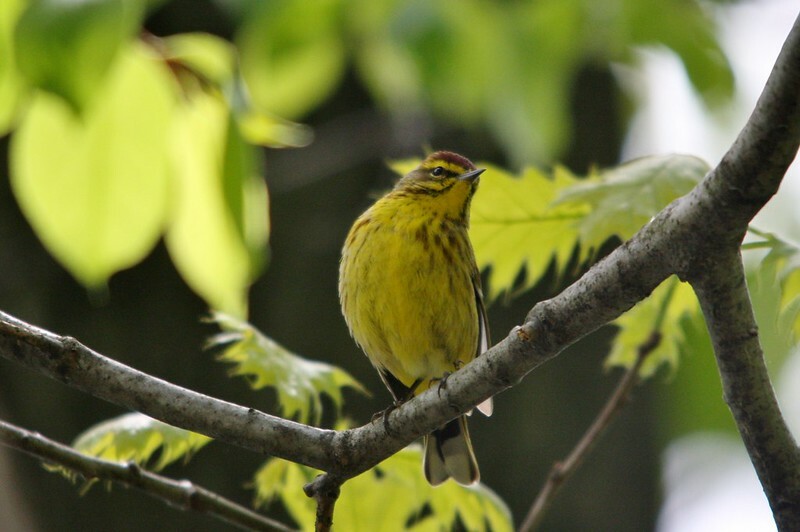 The Prairie Warbler at Higbee beach and the Worm-eating, Prothonotary Warbler, Hooded, Blue-winged Warbler and Yellow-throated Warblers at Belleplain are great bets with Louisiana Waterthrush thrown in for good measure. It was a great way to get an early start and we got looks at all of these birds on April 21st. So Spring had started and this weekend was our first “landing” on the first wave of birds at Garret in May! 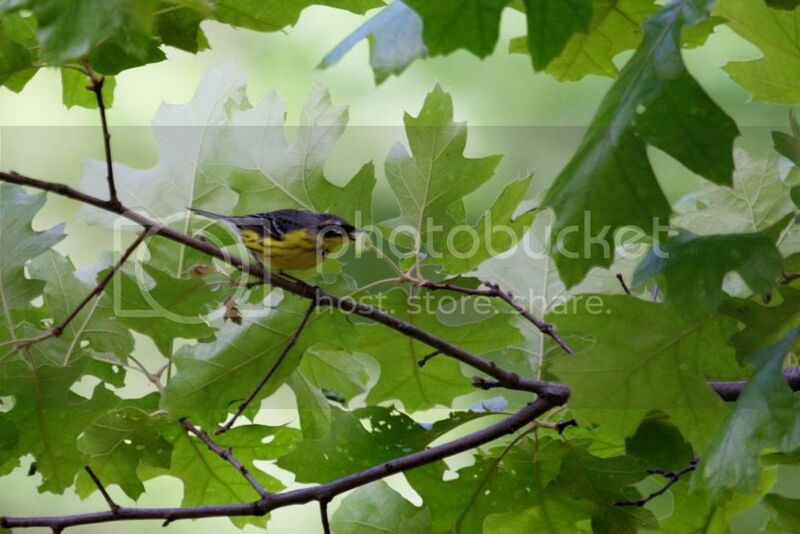 Blackburnian, an early Blackpoll and loads of Black-throated Greens greeted me with Black-throated Blue and Magnolia Warbler all making early appearances by the central picnic area by the Basketball court. 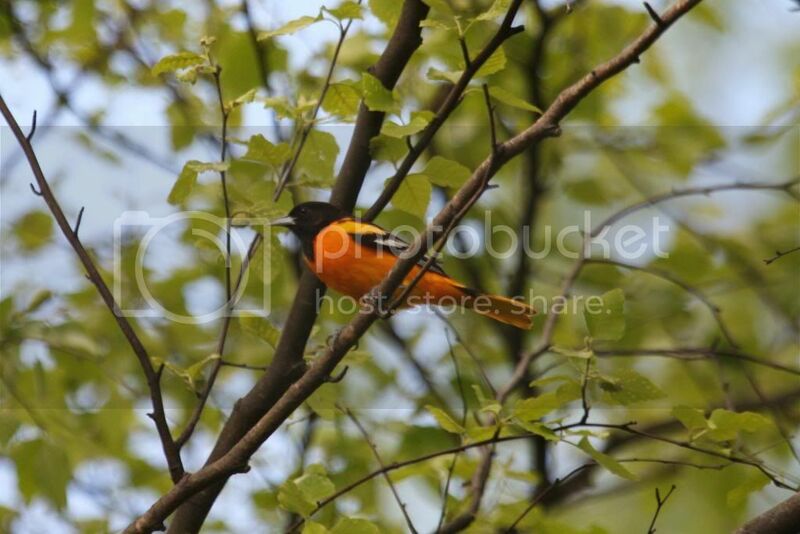 I was greeted on my walk down here from the Castle parking area by the return of Oriole and Tanager calls ringing though the air. Its like dipping your brain back into an experience its been deprived of for some time and having it invigoratingly rush back in. “Yes, that was a Magnolia Warbler song.” Its and exhilarating experience for a brain ripe for recognition. Ovenbird and Black-white were numerous and the final nice bird of the day was a cooperatively singing Tennessee Warbler! Just the start of things to come at Garret. Fun! I haven’t done a great job of the blogging side of things but I usually have updating “outing” picture at our Flickr site. Just another Spring Birding day in Jersey!! 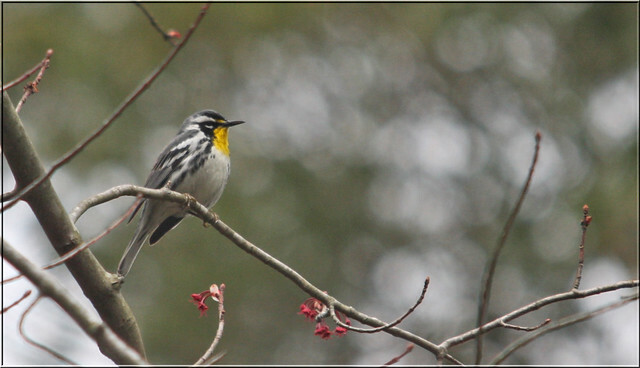 I wanted to head down to Belleplain today to see one of my favorite warblers, the Yellow-throated Warbler. Sunset bridge didn’t disappoint with at least 3 adults all singing. There were also 2 Louisiana Waterthrushes, 10 or so Pine Warblers and 2 Blue-gray Gnatcatchers. Sam Galick posted a note on JerseyBirds that a Male Painted Bunting was being seen in Absecon, so I shot up to see if I could nab my first male in New Jersey. The home owner Don was very welcoming and within 5 minutes there he was. Truly stunning bird! 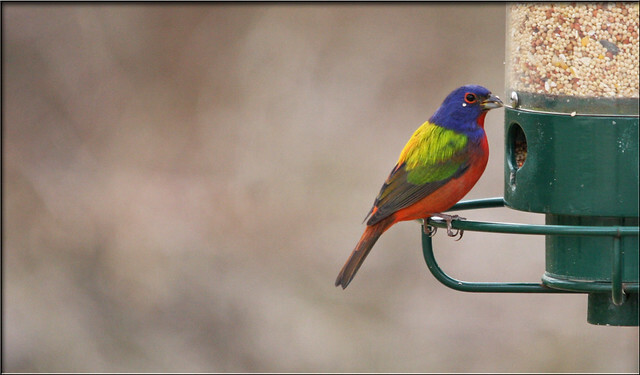 Big thanks to Don for letting New Jersey birders share in such a colorful April present! Another good day of NJ Birding! Keep um coming! I like nothing better in life that Spring birding at Garret Mountain. The location, the people, the idea of this mountain of green like a sky island in a sea of man’s handiwork is thrilling. To know that something so beautiful and natural exists in such close proximity to a bustling metropolis is some how comforting. Anyways, Garret has been in full swing this week with 6 warblers species seen (I saw 5) among them an early Northern Parula and a single Prairie Warbler. 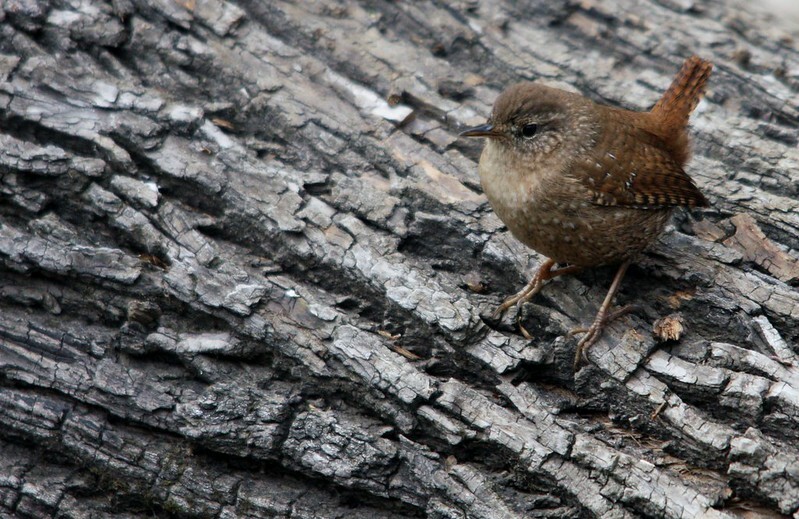 The Pine and Palm Warbler show has been a joy to watch and the number of Winter Wrens this year has been the best I have seen in the last 5 years there. The usual Louisiana Waterthrush are back on their stream. I saw multiple birds on 2 occasions so there seems to be some stream sharing of some sort. I have had to explain time and time again that I prefer “birder” to bird watcher. To others, one may as well be the other, and I imagine the distinction is made even less significant somewhere shortly after I start explaining that there are many different species of birds and that I search them out all over the country. I may as well have mentioned that I travel to Star Trek conventions or sell home made buttons at craft fairs on the weekends. (Both of which I am sure are worth while affairs mind you) It’s just another thing they don’t get or care to. So, when a birding event comes along that, even for a brief moment, connects with the “masses” it is reason to appreciate what has given non-birders that glimpse into “our” window. 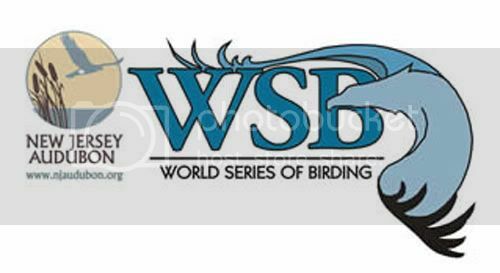 The 2010 World Series of Birding is just such an event. 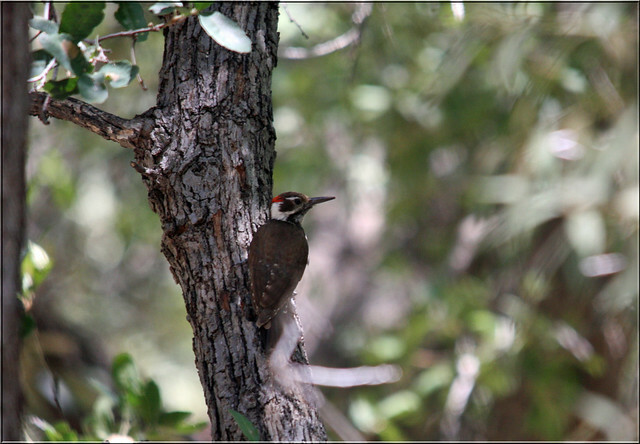 Being a “non-birder” not so long ago, I feel that the competition of birding is one lost on most. We can debate the merit of this perception on the hobby as a whole but it certainly connects with people in a way that descriptions of undertail coverts and premature molts simply can’t. People get the idea of trying to see more types of birds than the next guy. What is usually so shocking (and believe me I know I am not stumbling onto something new, I am just telling my interpretation) to people is the amount of species we have in the state and the country for that matter. No other day do I get more questions on “why are there so many people with binoculars?…” or a 2010 fav “Are you a part of the bird watching super bowl thing?…” The difference with this day is people are usually legitimately interested in hearing your answer. So when the WSB comes each year Jeanette and I take the opportunity to throw ourselves into the day as proud “birders” on our own personal stage. 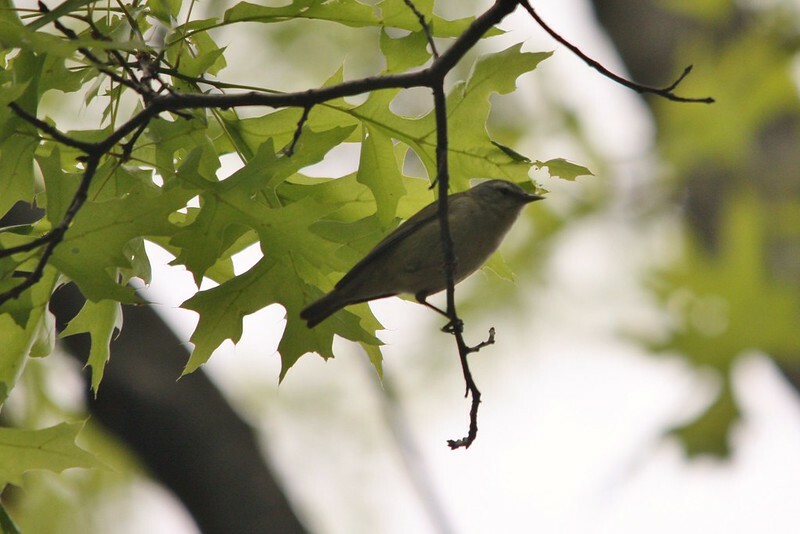 (It is also an excellent excuse for me to drag Jeanette around on a full day of birding that covers a large portion of the state) We start at our favorite Spring Warbler spot Garret Mountain. The morning got off to a rough start after an over use of the snooze button on my part got us off to a slightly late start. We made up most of the time and got to Garret with high hopes and even higher spirits. One of the great things about the World Series is that everything is new again! That House Sparrow out by the car is going to be just as important as the Black-billed Cuckoo munching down on tent caterpillars. So it was on and we started off at the “top” of the ridge at Garret. 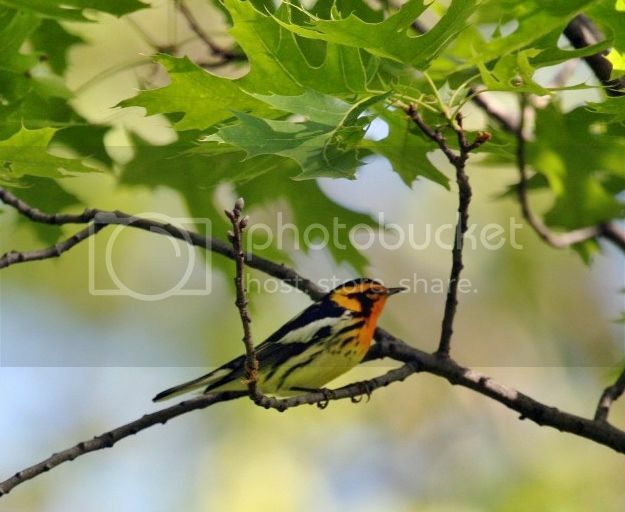 We parked across from the castle and quickly got on a Chestnut-sided and Magnolia Warbler. 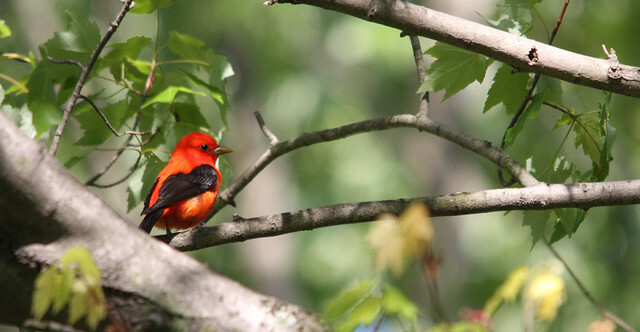 A female Scarlet Tanager, a Least Flycatcher, a Veery and a Swainson’s Thrush had us well on our way! 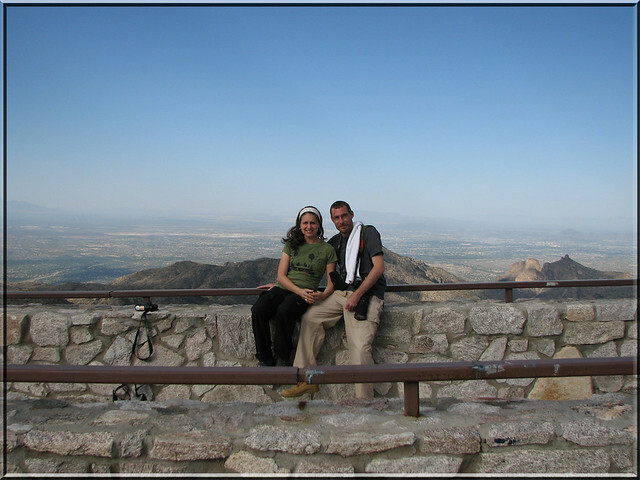 We tried a few other spots along the ridge but it was a little windy and we decided to move down some. We parked across from the Basketball Court and joined other birders in a show of Spring Spectacular. 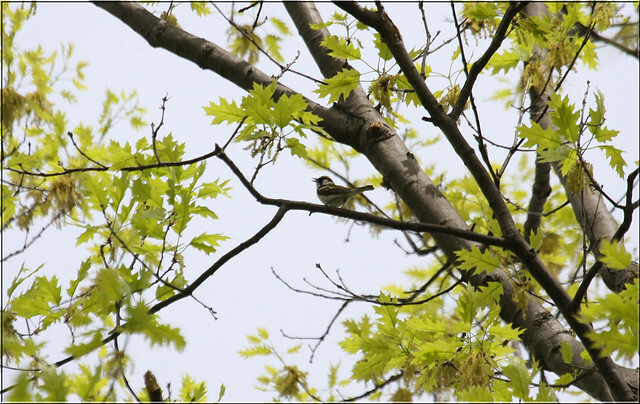 Blackburnian, Black-throated Green and Blue, White-eyed and Red-eyed Vireo with a side of Canada and Blue-winged Warbler. 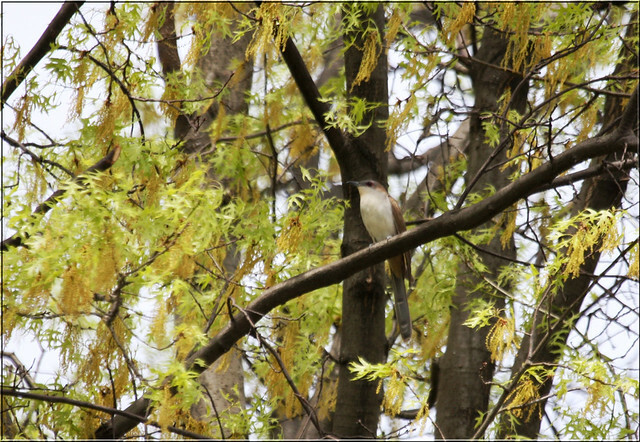 A walk towards the picnic area brought Lincoln’s Sparrow and a calling Black-billed Cuckoo. It was going to be a good day. Along the way we met up with birder friends we hadn’t seen in a while and again the significance of the WSB was not lost on us. We left Garret (reluctantly I might add) with 67 birds (a little lower than last year with some pretty easy birds missed) but we were determined and excited to see more. We hit the Garden State Parkway and headed towards the Brig. 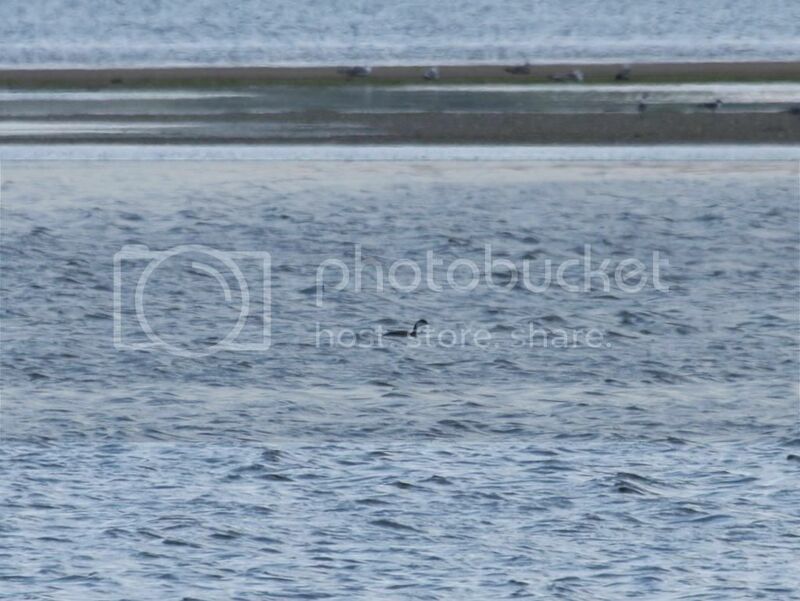 A Bar-tailed Godwit has been spotted recently and what a WSBird that would make! 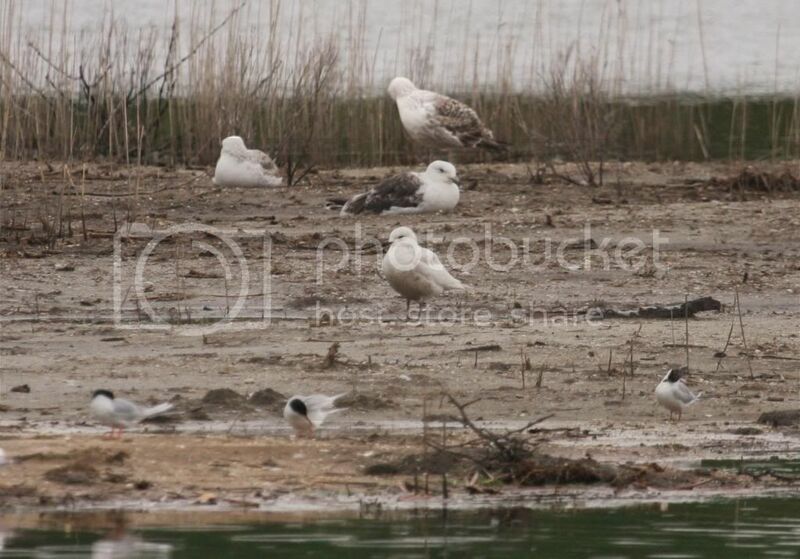 Unfortunately, we missed the Godwit that day (and the next :() but we picked up a lot of Shorebirds, Terns and Gulls. Caspian, Gull-billed, Forsters and Least Tern showed their stuff and Whimbrel and Clapper Rail gave up their checkmarks too. The Brig was fun but it was off to Cape May. Cape May has always been a thrill for us and we have always done well there. 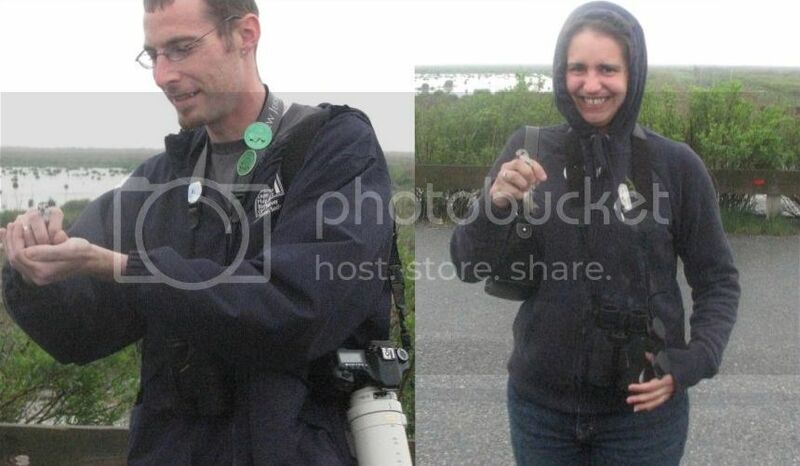 We have met some great people and seen some great birds near the southern most point in New Jersey. This again was the case and we were thrilled to tally Bank Swallow and Belted Kingfisher to name a few. Not yet done we turned for home. 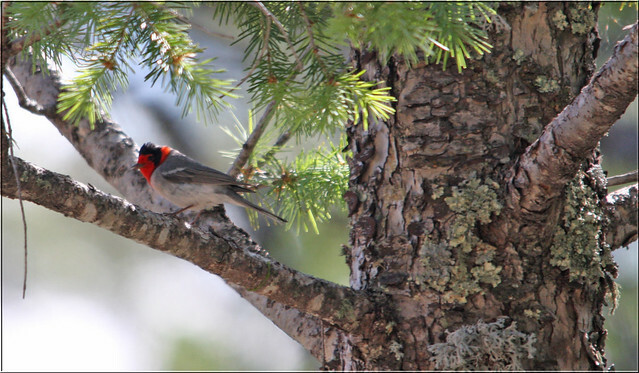 We had seen 18 Warbler species at this point and we still had a stop at Belleplain State Forest planned. Another one of my favorite warbler spots Belleplain holds good numbers of some of the more “southern” NJ warbler species. 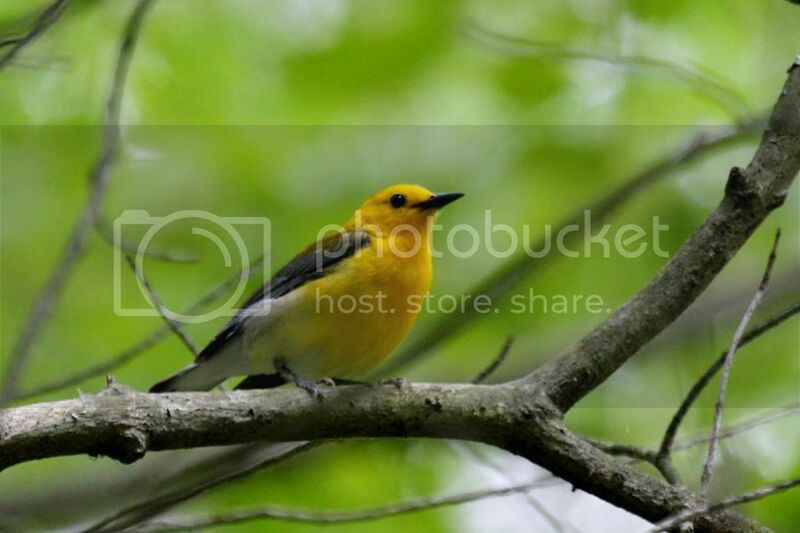 Although they can be had elsewhere it is a great spot for Prothonotary, Worm-eating and Yellow-throated Warblers. Jeanette and I added two more warblers to make the total warbler species count 20 and a total of 121 for the day! This number pales in comparison to the team winning totals over 200 but for us it isn’t just about the numbers. We are “birders” on this day and I like to think that while Bird Watchers observe their quarry from afar we “bird-ers” have a more personal and integrated connection. 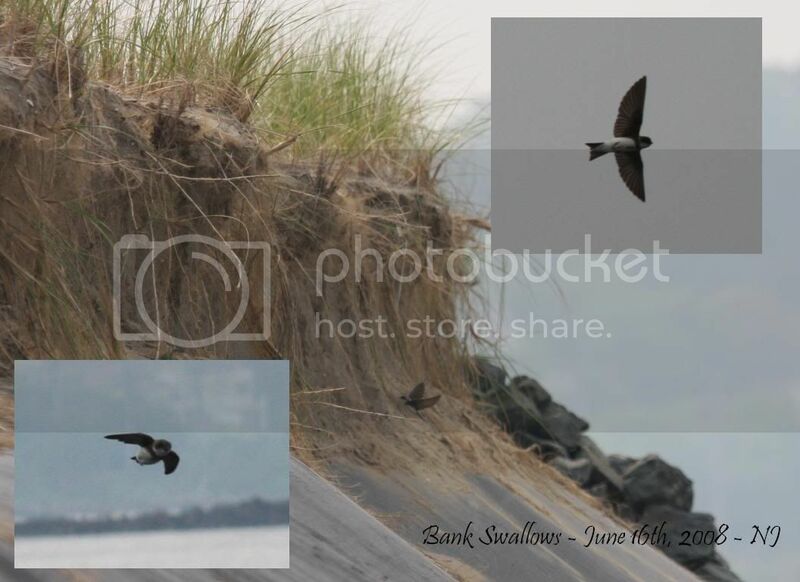 A connection shared with many others across the state on this day and one that benefits the targets of our adoration with the donations of birders and non-birders alike all “collecting” for a common cause. “Well, we haven’t been there in Spring…” An easy excuse to go back to a place Jeanette and I love, it didn’t take much arm bending to convince Jeanette we “needed” to be back in South Eastern Arizona. We had some target birds and some target activities and targeted late May as our time of arrival. 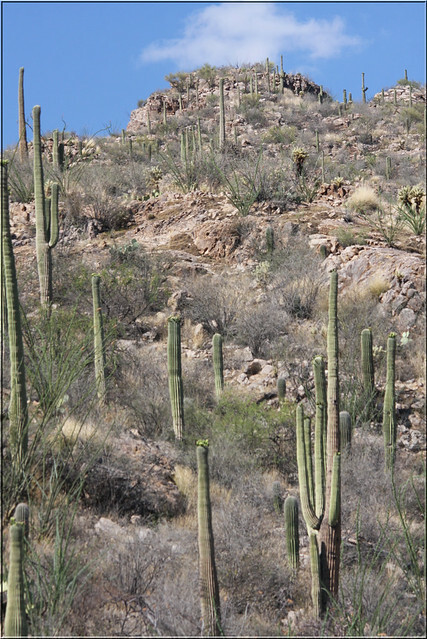 We landed in a seasonably cool Phoenix after a bit of rain and made our way to the Loews Ventana Canyon Resort. Our second trip to Arizona was as much about going back to this hotel as it was about the birds. Seriously, Jeanette really likes the place. And what’s not to like? 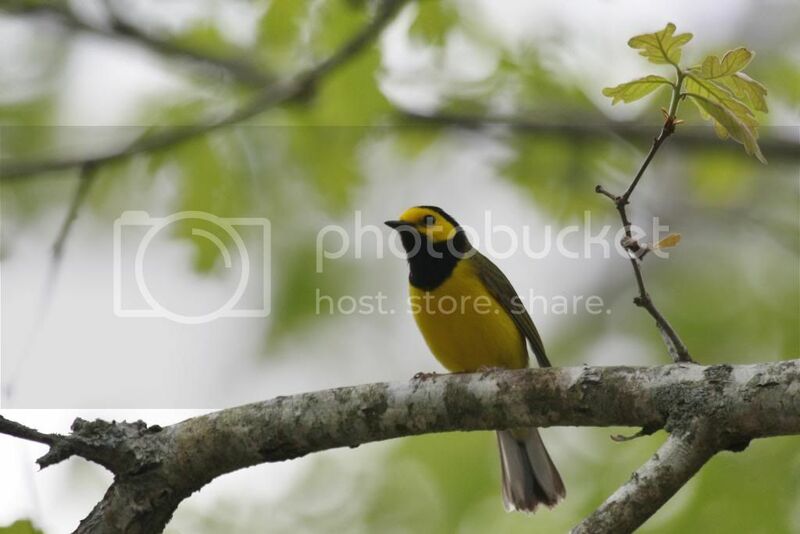 The views are amazing, the amenities are spectacular and the birding on property is simply wonderful. We met up with Keith Kamper (of AZ Birding – http://az-birding.com/guides/keith-kamper/) to do some night birding and to track down some of the birds we missed on our September trip. While we only had two days with Keith we made the most of it and he provided us with some top notch guiding and some exceptional birds. 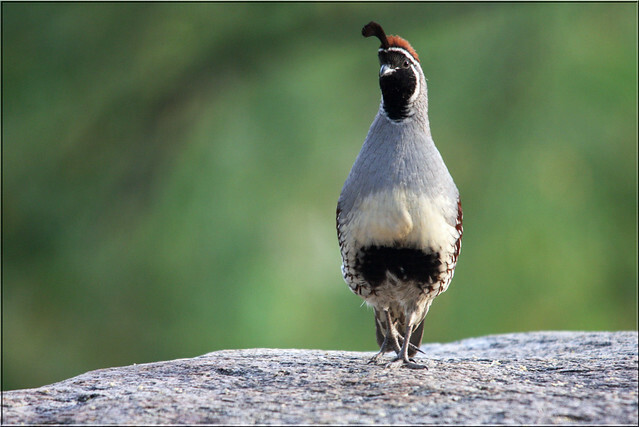 On the first day we birded Florida Wash and Madera Canyon with a crisp and early wake-up time of 3:30am. 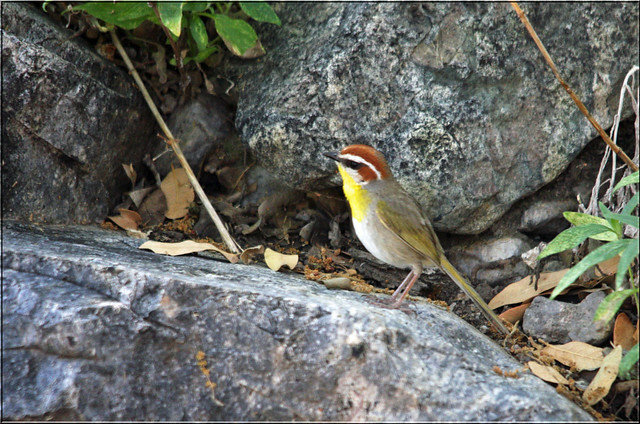 While this day didn’t produce my most wanted bird, the Rufous-capped Warbler, it laid the foundation for my subsequent attempts on Monday and Tuesday that eventually did produce a pair of exciting birds. 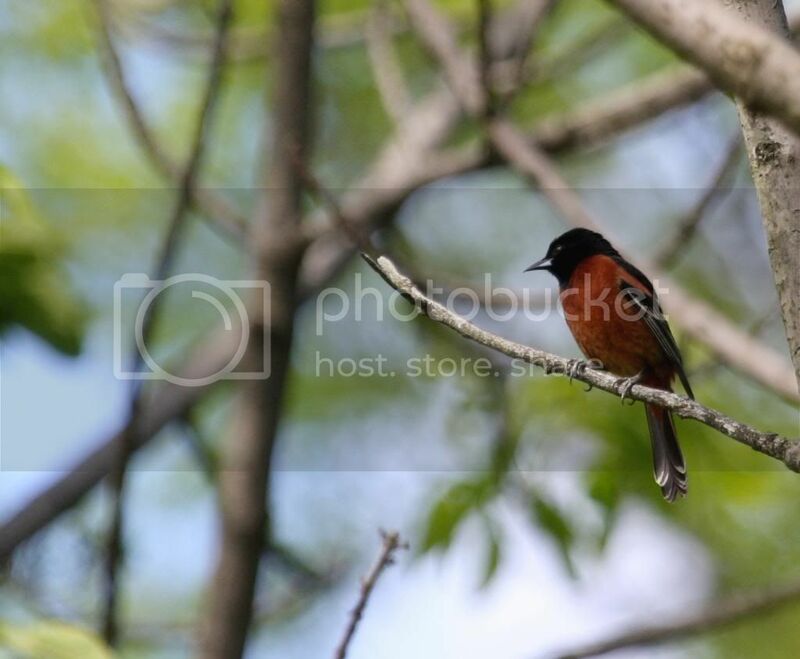 The Kubo B&B started us off with the highly sought Flame-colored Tanager and some wonderful looks at Arizona Woodpecker and Bridled Titmouse. 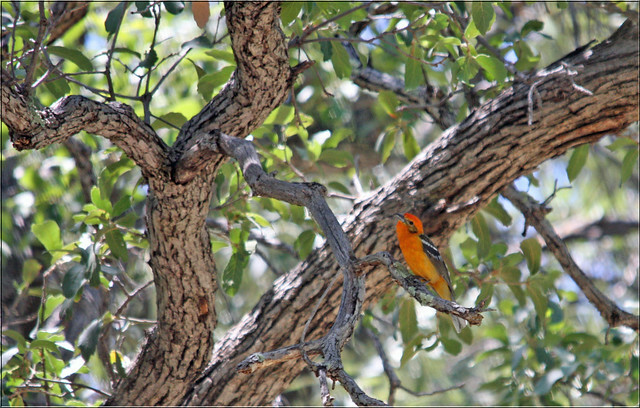 Madera Canyon produced stunning looks at Elegant Trogon, Sulphur-bellied Flycatchers, and Red-faced Warblers along with a host of other Arizona specialties. 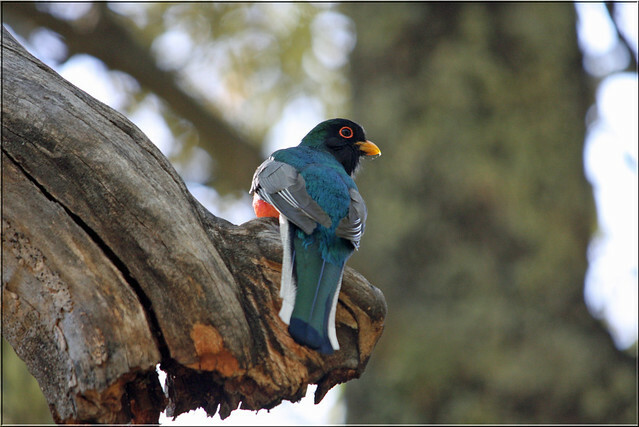 Although this was our second time seeing the Trogon I don’t think there will ever be a time in my life were an “additional encounter” isn’t met with enthusiasm and heart-pounding joy. What a truly beautiful creature! 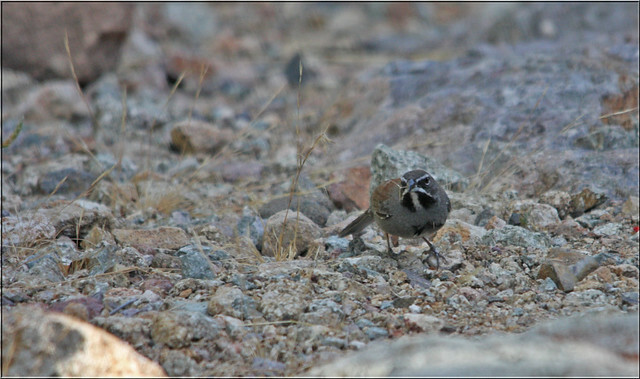 We ended our first day with an remarkable rendezvous with Five-striped Sparrow. We drove and hiked down a remarkably tame California Gulch (anyone who has driven the road into Cal Gulch knows that tame is usually not a word associated with its winding, rocky entry) and were paid off with some close time with one of the coolest sparrows I have ever seen. The hike out was much sweeter with the bird ticked off our list. On Sunday we hit the altitude and splendor of Mt. Lemmon. A personal favorite, Jeanette and I were happy to be rising up into it’s cooler grasp and out of the 100 degree heat of the desert floor. We saw Band-tailed Pigeon (sadly only a fleeting glimpse but a glimpse non-the-less! 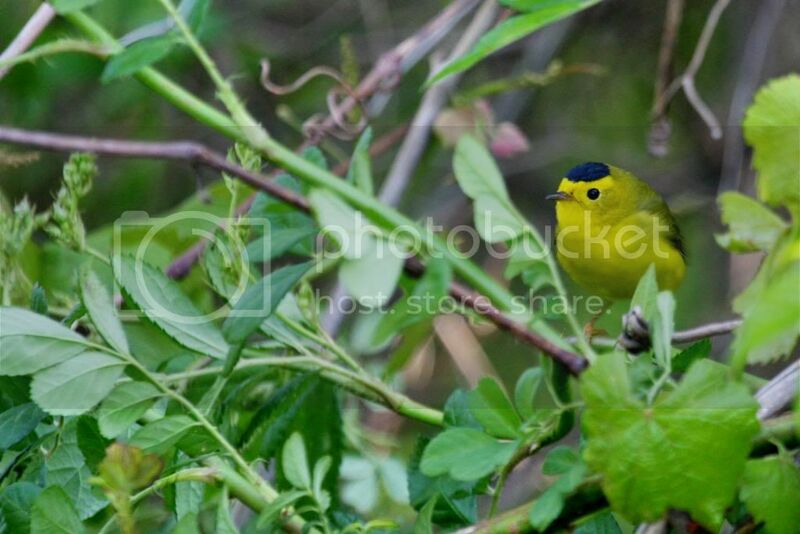 :)), Zone-tailed Hawk, Olive Warbler and Jeanette’s “bird of the trip” the Red-faced Warbler. We ended the day with some Owling and nailed Elf, Western Screech, Whiskered Screech and Flammulated Owl along with the AZ version of Whip-poor-will. We even heard a quick call of a Spotted Owl which was an unexpected bonus. All and all, a wonderfully successful trip that produced some great memories, some hard earned treasures and a new birding friendship! I ended the trip with 487 Life Birds. 13 to go and a trip to San Diego in September should get me my goal of 500 by the end of 2009. 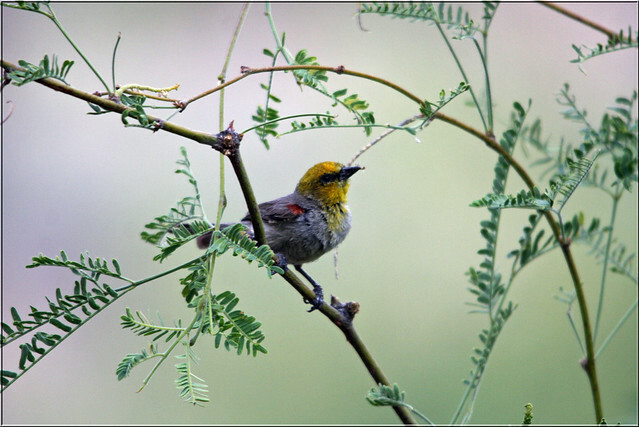 Is there any better passion than Birding? I say, not a chance. 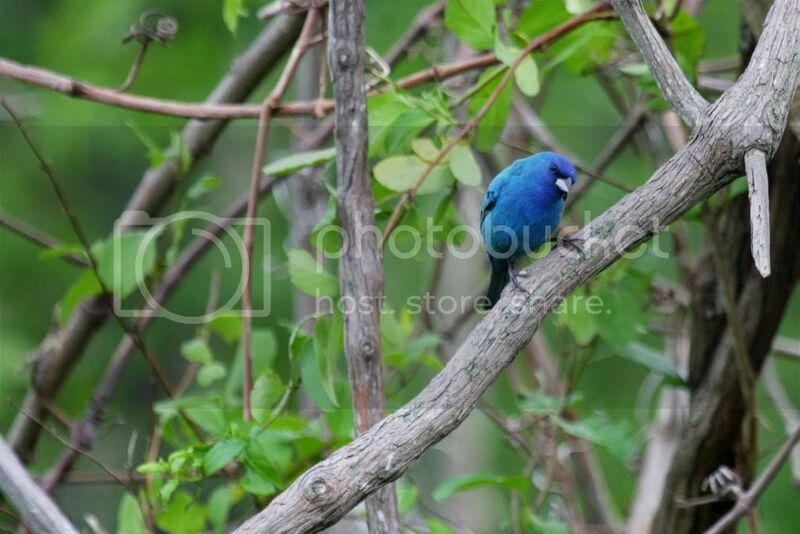 Below are some more of our favorites of the birds we saw. More will be posted on our Flickr site (found by clicking on the Flickr link at the top right of this page). 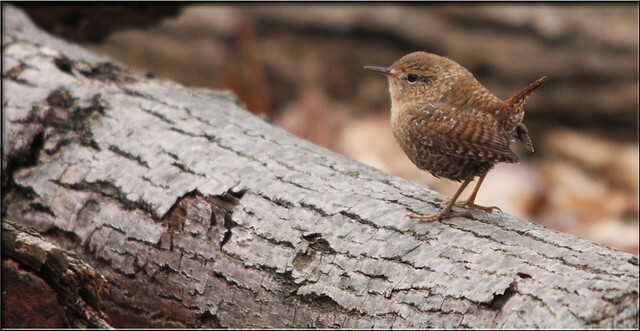 Sandy Hook has been really good for the rare or uncommon bird sightings this spring. It’s location and habitat seem perfect for the last second relaxation or energy refueling stop before heading north. Over the last year the “Hook” gave Jeanette and I some firsts for us like Ash-throated Flycatcher, Western Kingbird, and Townsend’s Solitaire. Today I got another personal life bird with a great looking Western Grebe. Through pretty far out, (as shown in the “Lockness” like picture quality above :)) nice scope views were had and plenty of time spent enjoying the view. June of 08 off to a good start! OH! And BTW I had three Grasshopper Sparrows at Negri Napote on the way home from Sandy Hook! My first of the year. I stopped by Garret Mountain on my way home from work around 330-4 PM and was surprised at the nice variety of birds around. In fact my best single day for total numbers of Warbler species all spring. Got to see my FOS (First of Spring) Lincoln’s Sparrow and a beautiful Orchard Oriole and racked up 19 warbler species that were rather low in the trees probably on account of the wind. Not many birds calling (it was early afternoon) and I definitely noticed the thicker leave cover than just a week or two ago. Lost a few birds without seeing an exit due to this including the Blackburnian Warbler. Weather was nice and no bugs around. Also heard two Great Horned Owls calling to each other on Wilson Road as I was leaving. What a treasure Garret is! Cape May is one of the truly special birding locations in New Jersey and Jeanette and I got to spend a week enjoying it. Some inclement weather (a Nor’easter blowing 70mph winds and heavy rain) didn’t dampen our spirits and we birded through most of it determined to get the most out of our time there. Mornings at Higbee and trips to Belleplain and Heislerville filled in when we weren’t at some of the great local spots like the Meadows, Villas, Beanery and Point State Park. Although we weren’t an “official” team we gave the personal “big day” thing a try and saw 105 species on World Series day in Cape May county. 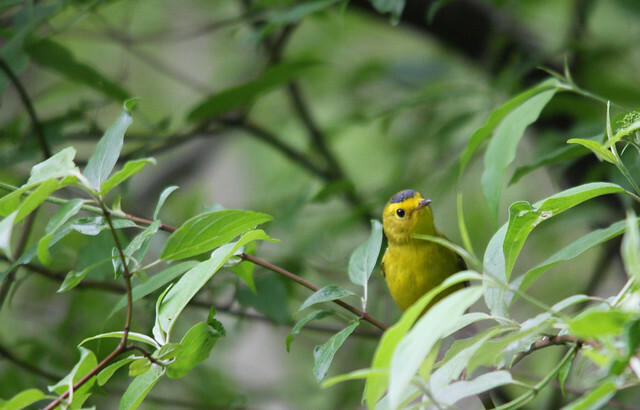 We also did okay with some new birds for us like White-winged Dove and Iceland Gull and had 25 species of warbler with great looks at Cape May Warbler, Hooded Warbler, Prothonotary Warbler, Worm-eating Warbler and Wilson’s Warbler. It was also great to see some of the local birding faces again and share birding stories since the last time we met. Cape May is truly a “magical” place and we felt lucky to find it within our borders.